If you want to play college softball, you should probably be looking in California, New York, or Pennsylvania. However, if you’re looking specifically for Junior College teams, you should be focusing on Illinois and Texas. The states with the most D1 softball programs are New York, California, and Texas. The D3 college softball programs are concentrated in Pennsylvania, New York, and Massachusetts. Remember, you can improve your chances of playing college softball if know where to look for the most appropriate level of play. This means you need to go where the teams are that are most likely to recruit you. However, be sure to take into account the supply of high school softball players in the area as well. Below is a table listing the number of colleges in each state offering softball by the regulating organizations. You can sort the table to find out which states have the most NCAA Division 1 teams or the most Junior College teams. The total column includes all schools at all levels. These numbers are based on data from the Integrated Post-secondary Education Data System (IPEDS) data and the Office of Postsecondary Education (OPE). The actual numbers may vary. This data is available as part of the DIY College Rankings Softball Spreadsheet. Following the table is a brief description of the organizations and their requirements. Keep in mind that individual conferences can have additional rules than just those required by the sanctioning body. NAIA (National Association for Intercollegiate Athletics): NAIA colleges can offer up to 12 softball scholarships and allow for up to two days of on campus tryouts. Prospective students must register with the NAIA Eligibility Center. Students must meet two of the following three requirements to be eligible to play. There are a limited number of restrictions on contact between the coach and prospective player, generally centering on evaluations. NCAA (National Collegiate Athletic Association): The majority of colleges belong to the NCAA. The NCAA is divided into three divisions. Divisions 1 and 2 may offer scholarships. Division 3 schools do not offer scholarships. 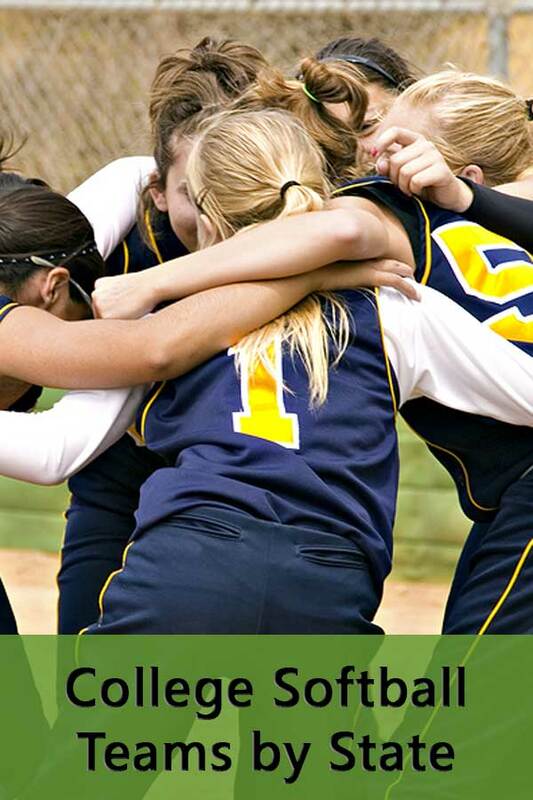 Division 1: Colleges in this division may offer up to 12 equivalency softball scholarships. There are numerous requirements and rules for this division with the following list highlighting a few. Pay close attention to the eligibility requirements in the Guide for the College-Bound Student-Athlete. Prospective players must register with the NCAA eligibility center. Division 2: Colleges in this division may offer up to 7.2 equivalency softball scholarships. Academic eligibility requirements are less complicated than D1 and there are fewer restrictions in terms of amateur status. Students must earn an SAT score of 820 or an ACT sum score of 68. Division 2 is the only one that allows tryouts for prospective students. Pay close attention to the eligibility requirements in the Guide for the College-Bound Student-Athlete. Prospective students for Division 2 colleges must register with the NCAA eligibility center. Division 3: Colleges in this division do not offer any athletic scholarships. Rules for recruiting and eligibility are determined by individual conferences. Prospective players do not have to register with the NCAA Eligibility center. This is the largest of the three divisions which spans the talent spectrum. This division also contains the majority of academically demanding schools (exceptions include the Ivy League and Stanford) where being recruited by the softball coach may help your chances for admission. NJCAA (National Junior College Athletic Association): The NJCAA consists of 3 divisions with only divisions 1 and 2 offering up to 24 scholarships. These are generally two-year programs with an occasional school offering some four-year programs. Due to the unique academic and athletic situation of each individual, and the complexity of the NJCAA eligibility rules, it is recommended that each potential student-athlete discuss their athletic eligibility with the athletic personnel at the NJCAA college where they have chosen to attend.